Officers in the Garioch area have carried out a week-long operation to target the illegal supply and use of drugs following concerns raised by the community. 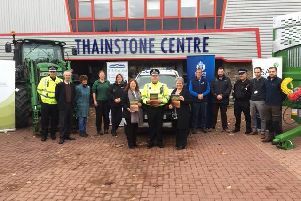 The operation which involved Garioch Community Policing Team officers as well as Specialist Officers and the use of Police Dogs targeted a number of areas including the Kellands and Market Street areas of Inverurie and Kemnay. As a result two men aged 27 and 17 were charged in relation to the alleged possession of cannabis and one man aged 21 was charged in relation to the alleged possession of heroin. They will all be reported to the Procurator Fiscal. 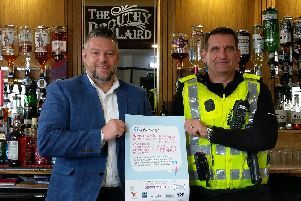 Sergeant Craig McNeill of the Garioch Community Policing Team said: "Successful enforcement is only possible where we are told of issues and we'd like to thank those in our communities for their continued support and information. "We will continue to target those who choose to involve themselves with drugs and would encourage anyone with information to report these to us on 101 or Crimestoppers on 0800 555 111 to remain anonymous. "We've had a number of increased patrols in the area over the last week and these will continue. If you have concerns you can also speak to any officer."